This project is targeted to cater the most critical issue (70% Water lost due to leaky pipe), which is underground leaky pipe in California. 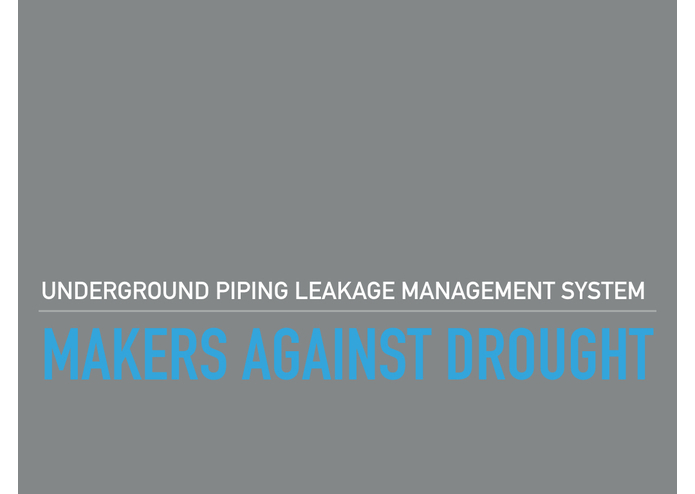 The solution is to build an underground piping management system by using Samsung ARTIK 10 IoT unit. It keeps monitoring the water flow in different nodes, send email alert in case anything went wrong and stop the water for those section of pipe accordingly. My project is to build a part of piping system, which is to demo the situation is there a leakage between 2 nodes. In order to detect the water flow, I attached 2 HAL sensors and a manual valve between them for simulate the situation when there is any leakage. Once it detects the reading between these 2 sensors that is bigger than the specific torrance, it triggers the relay to turn OFF the electric water-pump (To simulate a electric valve to stop water supply) and send email alert automatically. The core of this IoT solution is ride on Samsung ARTIK 10 unit. It runs custom Arduino app to collect water flow reading data from 2 HAL sensors and submit to SAMIIO (Samsung Cloud Solution Platform) via TEMBOO platform. With data visualisation tools provided by SAMIIO, all collected reading data on cloud can be tracked and visualised easily. A big challenge on Samsung ARTIK 10 as a beta product that is not much references in the market to be referred to. Especially I need to figure out how to setup interrupt control in GPIO ports for reading the pulse signal from HAL sensor and transform it into water flow value. With my limited spare time, I thought I could not catch the deadline.